Make the most of your long layover in San Salvador by taking 4 hours to tour the city and visit the majestic volcano affectionately known as El Boquerón, or ‘Big Mouth.’ Get picked up from Monseñor Óscar Arnulfo Romero International Airport and driven into this intriguing city to enjoy the Metropolitan Cathedral and Salvador del Mundo Square, among other top attractions. From there, travel about 15 miles out of the city to gawk at the imposing volcano. You’ll be transported back to the airport in time to get your connecting flight. If you want, book this as a private tour for undivided attention from your guide. 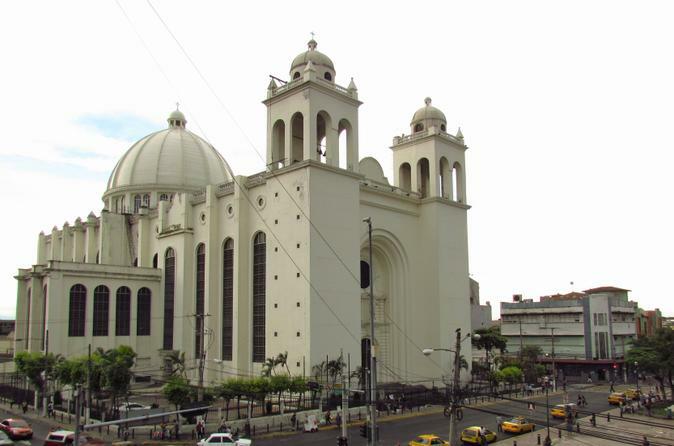 Take a private tour of the El Salvador's capital city to see notable sites including the Metropolitan Cathedral, National Theater and National Palace. If you opt for the full-day tour, your afternoon includes San Salvador Volcano (El Boquerón), the charming city of Santa Tecla, and shopping for artisan goods at two local markets. This is your tour to customize, so just let your knowledgeable local guide what you want to see more or less of. Choose a morning or afternoon tour, or select a full day of sightseeing. All options include round-trip hotel transport by comfortable private vehicle. During this El Salvador Combo Day Tour you will visit the main highlights of El Salvador including Cerro Verde National Park at the Lake and Volcano Complex, Coatepeque Lake as well as the Mayan Sites of Joya de Cerén and San Andrés. What are you waiting for? 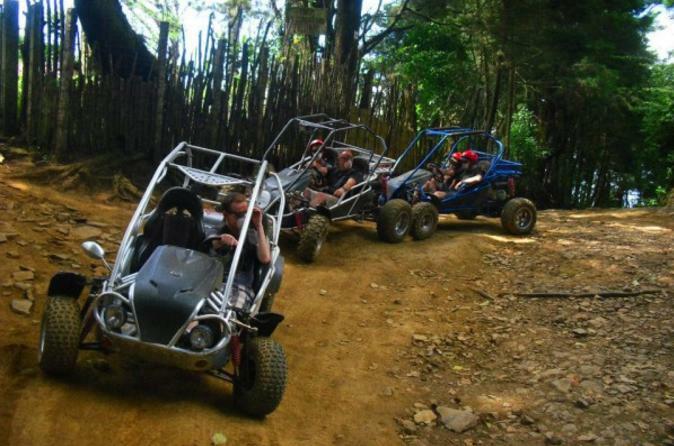 Get wild, and a little bit dirty, on this 6-hour dune buggy tour from San Salvador that is a fun blend of adventure and beautiful nature. Hop in your dune buggy and be prepared to see the landscape in a different way. Gawk at the stunning Laguna Verde and Laguna de las Ninfas. Ride along the Ruta de las Flores (Flowers Route), famed for its scenery, and spend time in the town of Apaneca. Upgrade to include a guide or to extend the tour to a full day. Combine two popular private tours of San Salvador and Joya de Cerén with this 4-hour San Salvador Combo. Start with a morning or afternoon sightseeing tour of El Salvador's buzzing capital, whose highlights include Masferrer Square, Salvador del Mundo Square and the Metropolitan Cathedral of the Holy Savior. 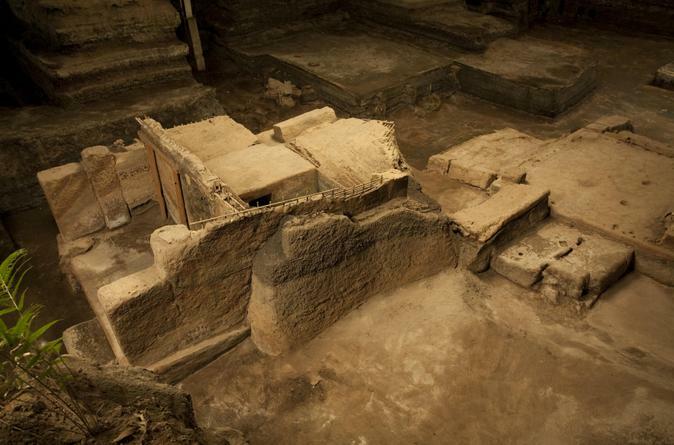 Then head to the UNESCO World Heritage–listed archaeological site of Joya de Cerén, dubbed the 'Pompeii of the Americas,' where you can see ancient life preserved in a time capsule of volcanic ash. 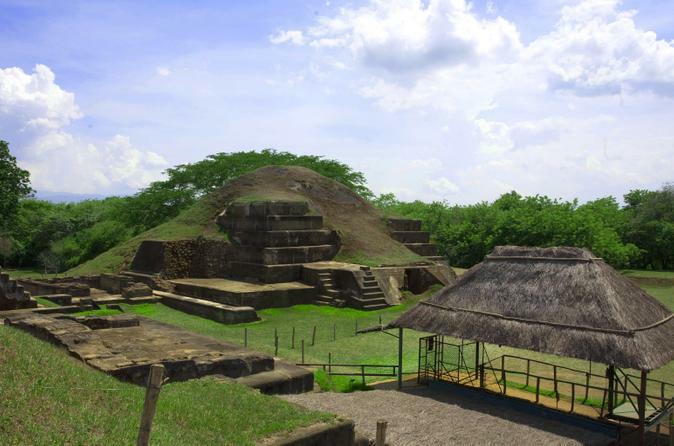 Enjoy a personalized, private tour of El Salvador’s major Maya archaeological sites: volcano-buried civilizations, pre-Columbian pyramids and indigo-producing factories. Select a morning or afternoon tour and visit the UNESCO-listed Joya de Cerén along with San Andrés, or choose a full-day itinerary that also includes Tazumal, Casa Blanca and the Colonial city of Santa Ana. Includes round-trip hotel transport from San Salvador by comfortable private vehicle. A volcano, ash-covered ruins, and tree-flanked trails await on this 4-hour San Salvador tour to El Boquerón National Park and the Joya de Cerén. 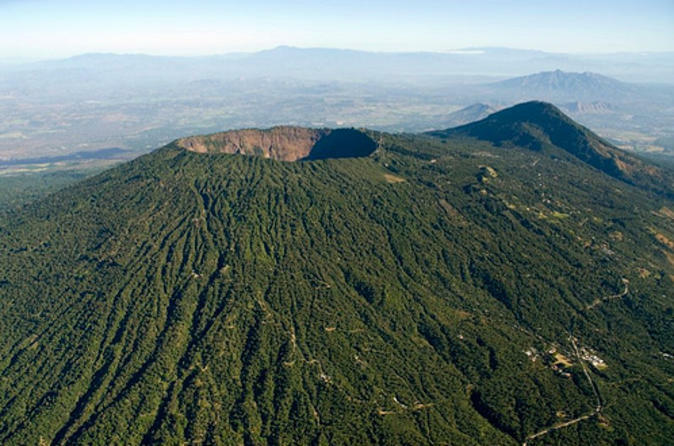 Discover the San Salvador's rock star volcano, affectionately known as Big Mouth, on a hike on the forested trails of El Boquerón National Park with your guide. 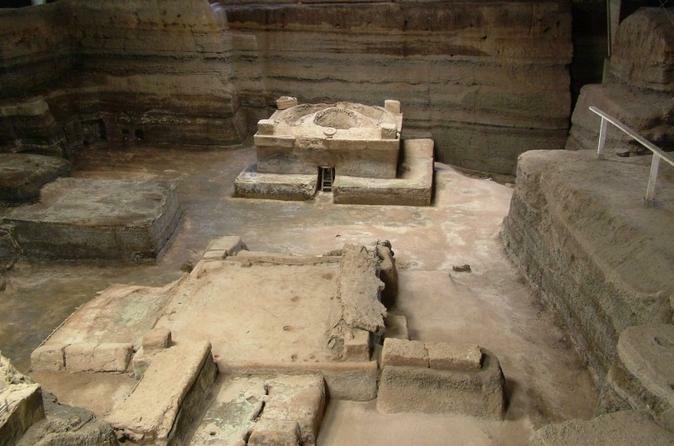 Follow that up with a visit to the archaeological ruins of Joya de Cerén, a UNESCO World Heritage site, to learn what life was like in the 6th century. Not many people get the chance to stand on the edge of a volcano. But you can with this 4-hour private evening tour of El Boquerón, San Salvador’s iconic volcano and symbol of the city. Drive through this intriguing capital city on the way to the volcano, just 15 miles (25 km) from the city. Walk the trails at the top of the volcano and take in the fresh pine-scented air, and then visit Santa Tecla, an attractive town at the base of the volcano. Includes hotel pickup and drop-off. Explore the volcano complex of Cerro Verde National Park, which showcases some of El Salvador’s most amazing volcanoes: Cerro Verde, Izalco and Santa Ana (Ilamatepec). 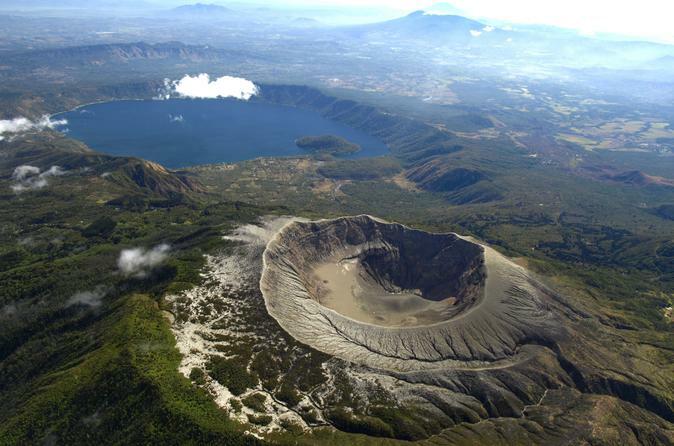 This private day trip with an experienced guide takes you sightseeing along eco-trails into the inactive volcanic crater of Cerro Verde. Enjoy panoramic views of Izalco volcano and walk through a dwarf forest to see Santa Ana volcano. Finish at the volcanic Lake Coatepeque, noted as one of the most beautiful lakes in the world. Round-trip hotel transport by comfortable, private vehicle from San Salvador is included. 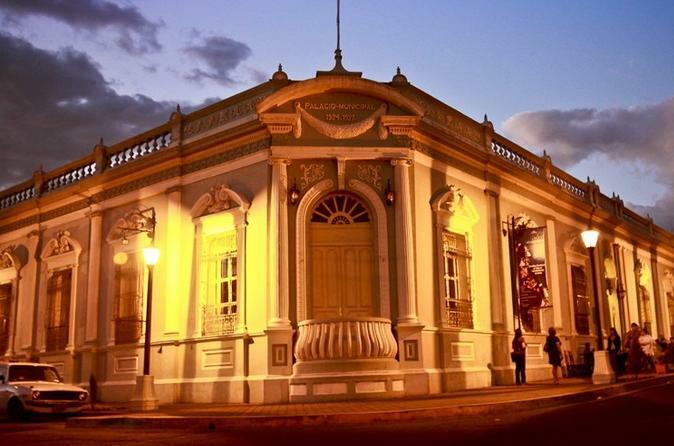 Discover El Salvador's cultural capital with a private guide on this day trip from San Salvador. 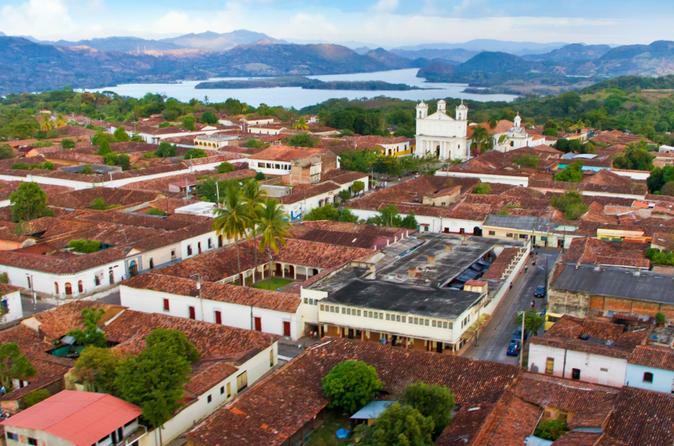 Enjoy a different pace of life in Suchitoto, known for its charming cobblestone streets, art galleries, craft shops and colonial houses. Visit Santa Lucia Church — the town's top attraction and one of the finest churches in the region — as well as the local theater and marketplace. Plan your day as you please on this private tour, perhaps taking time for a boat ride on Lake Suchitlán or a visit to the Los Tercios Waterfall. You don´t want to miss this tour! 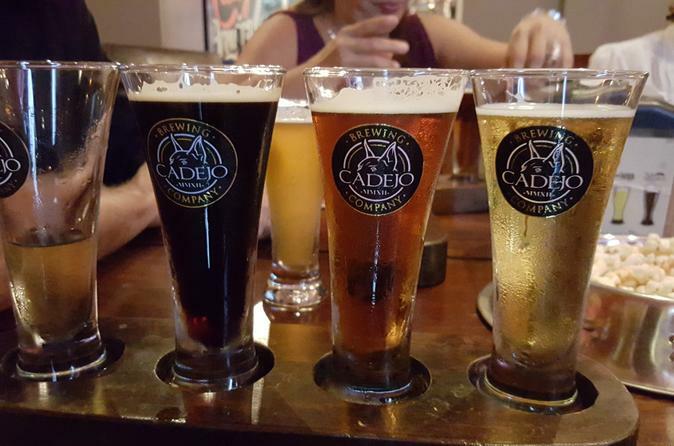 Our San Salvador Brewery Tour is a great experience visiting the largest craft beer of Central America: Cadejo Brewery. Why to wait at the airport when you can take this great and unique experience? 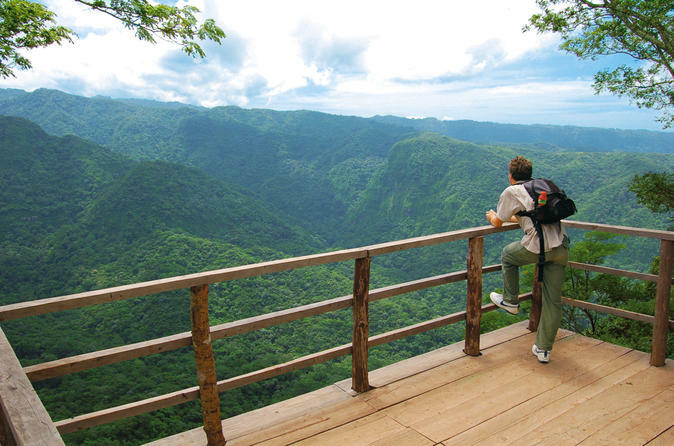 Experience the natural wonders of El Salvador’s El Imposible National Park on this 10-hour private tour. 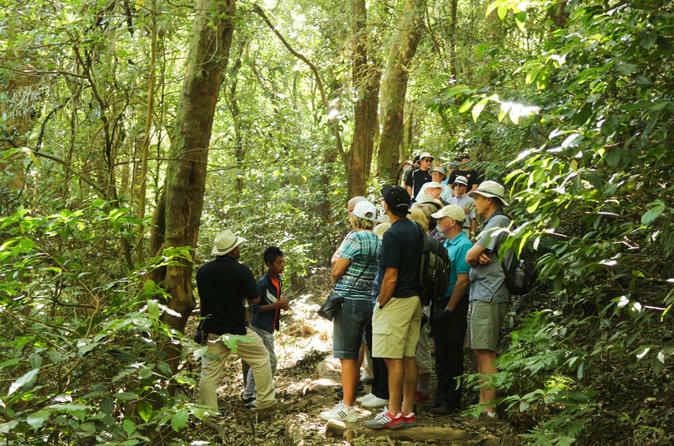 Explore this verdant paradise with a knowledgeable, private guide, learning about the local wildlife and what makes this park so special. Your guide will fill you in on the local lore surrounding the infamous gorge the park is named after. Spend the day hiking its glorious trails, bird-watching, wading in the river and getting to know this beautiful region. This tour is private, ensuring that you’ll have the undivided attention of your guide. Escape from the rush and enjoy a full day relaxing at the beach during your layover in El Salvador International Airport. This tour is very flexible to your flight itinerary.